All you have to do is comment our Facebook post - or subscribe to our YouTube channel and comment our great trailer for the Fireworks Competition in Liuyang. On Friday (Feb 15) we will announce the winners. 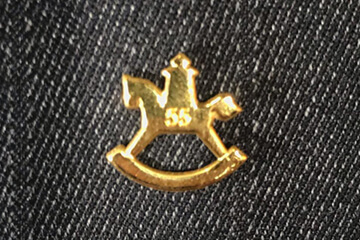 31-01-2019 | Our 55th Anniversary! Let the champagne corks pop! For 55 years we have been present at the International Toy Fair in Nuremberg! We received a certificate and this ultra chic pin! We are very pleased! 30-01-2019 | Nuremberg got us back! The race is on and we have arrived in the holy halls and are waiting for you at our booth (which has been in the same place for 10 years). 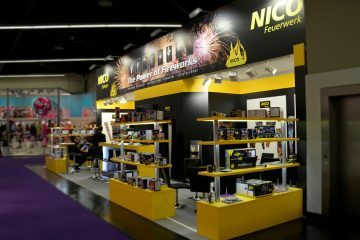 Fireworks are a central topic in Hall 9 and give you an overview of our industry. Visit us at the Nuremberg Toy Fair in hall 9, booth A-51 and experience our team and our new products LIVE and in color. "Goodies" stands for the highly specialized remainder and special item fair with a wide range of goods on more than 11,000 m² of exhibition space. Wholesalers, importers and manufacturers present their goods here. This gives customers the opportunity to order their goods in a single location with several specialized companies to stock their markets. Visit us today until 5 p.m. at the Goodies Center in Ankum. True to the motto "After the game is before the game" you will find our first fair offers in the new year here. 08-01-2019 | Nuremberg, get ready! As every year, the fireworks season traditionally begins at the International Toy Fair in Nuremberg. Fireworks is a central topic in Hall 9 and will give you an overview of our industry. 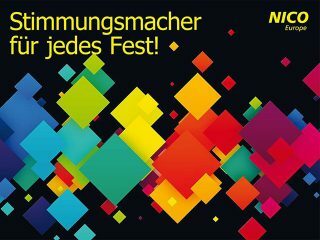 Visit us in Hall 9, Booth A51 to prepare for a great 2019 season. Your contact person awaits you with numerous new products to discuss the trends of the next season with you. See you at the industry meeting from 30 January til 03 February in Nuremberg. 01-01-2019 | Happy New Year altogether! A happy and healthy new year 2019 to our customers, business partners and friends of the house! And we stay active in TV and radio! 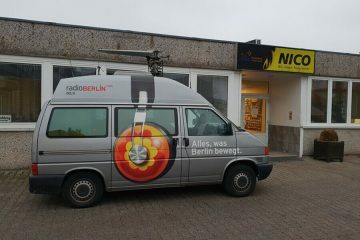 This time with rbb (Radio Berlin 88,8). Turn on the radio and listen to what our Sales Manager Marco Finessi tells about the latest trends in our industry. Of course, our new FireFly is one of the major topics here as well. 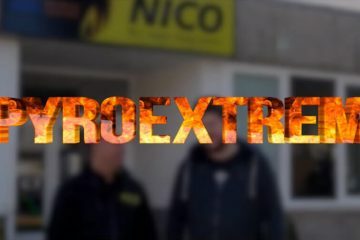 Once again, we welcomed YouTuber PyroExtrem in our Berlin premises and accompanied him on an interesting and exciting tour through the warehouse and showroom. You can see in his video what he has collected in terms of information and impressions for you. We say thank you for this beautiful and interesting day. 19-12-2018 | Cracker ban in Germany? And another exciting report at Galileo, this time on the subject of a possible cracker ban in Germany. Marco Finessi, our sales manager, was able to contribute our opinion to the post and present our point of view. 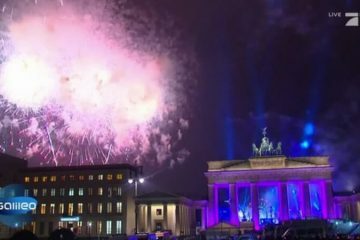 Every New Year's Eve Germans overall spend around 130 million Euros on New Year's Eve fireworks. Much of it comes from the Liuyang, China's "fireworks capital". Entrepreneur Fenglian has been working in the Cracker business for 40 years and calls herself the "Queen of fireworks". Accompany one of our products from its manufacturing in China over the examination at the Federal Office for Materials Research to the last quality control in Germany. 14-12-2018 | What's the blackbox capable of? At 07:05 p.m. there will be a quick report about our FireFly at Galileo. Have a look! View clip! The reporters Maurice and Martin held a little competition shooting with a selection of our batteries. Still looking for the perfect Christmas present 🎁🎅? Or want to treat yourself to something for Christmas? How about our app-controlled ignition system with reusable ignition clips? Who orders until 19.12. in our shop, will be rewarded with a 10 % discount and the FireFly delivered on time before the handing out of presents! For all those who can not wait, we've put all our exciting composite fireworks novelties into a playlist. 21-11-2018 | The Beast is here! The wait was worth it - our first "grid box" (item no. 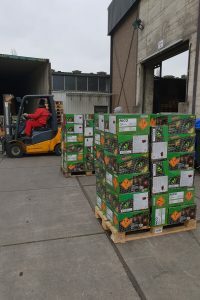 85021) has finally arrived and will now be shipped. Battery fireworks consisting of 4 batteries with over all 144 shots, colorful effects with extreme decomposition to turning chrysanthemums, illuminated stars, weeping willow, glittering rain or crackling palm blossom bouquets, ending in a fast-shooting finale of 6 salvos each with 6 Titan Salut effects. More info, video, etc. can be found here. Are you ready to release the beast? 08-11-2018 | FireFly is in stock now! 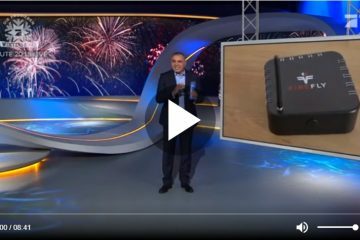 15.5 x 17 cm, wireless, battery-powered, 15 ignition channels, state-of-the-art Bluetooth technology - this is the app and cloud based FireFly wireless ignition system that provides simple and convenient ways to create music-synchronous fireworks on your mobile phone / tablet and control your fireworks from there. Expandable to up to 6 modules (fabulous 90 ignition channels). The ignition takes place over multiple reusable ignition clips which are attached to the fuse of the fireworks and connected with the system by jack. 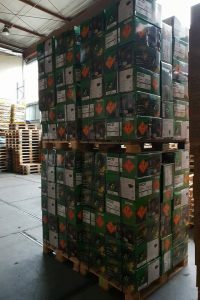 The free FireFly app is available on the AppStore und im Google Play Store..
FireFly has now arrived at our warehouse. Let the shipping begin! Our sales department is once again setting trends. Today: battery recycling. Why not use a used battery as a pencil cup? And right away the desk looks a bit more stylish 😀. 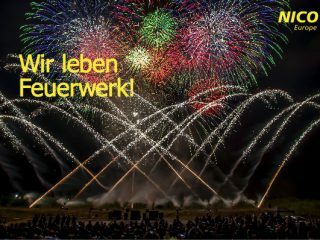 A home game can not go any farther: at the 13th Pyronale, the World Championship of Fireworks in Berlin, our colleagues from Potsdamer Feuerwerk won the Audience Award and took second place in the overall standings. In addition to two compulsory parts, which were mastered with flying colors, the 15-minute fireworks could thrill the audience with a brilliant freestyle. In six months of intensive preparation, a masterpiece was created, which had to be completely set up in just 2.5 days under time pressure. 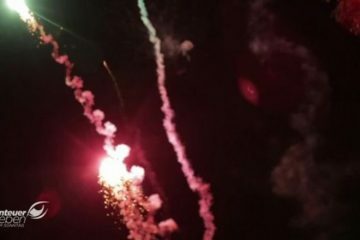 The spectators admired a firework of superlatives: 10 pyrotechnicians. 1,000 bombs. 6,000 ignition points. 20,000 m ignition cable. Around 300 different launch positions. More than 9 tons of fireworks effects from all over the world. With our FireFly Firing System we won the "Oscar of Commerce". With the "TRENDSELLER Product Award", the IAW trade fair twice a year honors products that have the makings to be a bestseller. The award was presented to our Key Account Manager Robert Kandler at the IAW Stage Ceremony. More information on our awarded FireFly ignition system can be found here. The partnership between Canada and Germany has been a lively and multifaceted one for many years. At the centre of this exchange are the personal encounters, visits and collaborative projects that provide a deep understanding. The website SoGerman is operated by the German Embassy in Ottawa, the Goethe-Institut and the DAAD North America (German Academic Exchange Service). 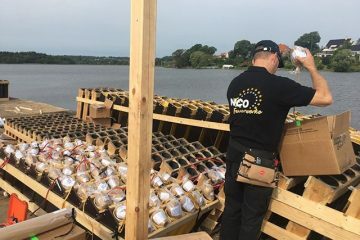 As part of our participation in the Casino du Lac-Léamy Sound of Light, SoGerman interviewed our on-site pyrotechnicians while setting up the pontoon. The result can be found here. We are pleased to present the new FireFly Firing System - A new firing system that provides the ability to create and control fireworks easily, conveniently and in sync with music on the phone / tablet. The ignition system can be extended to up to 6 modules and thus simultaneously up to fabulous 90 ignition points. The ignition takes place over multiple reusable ignition clips, which are attached to the fuse of the fireworks and connected with the system by jack. 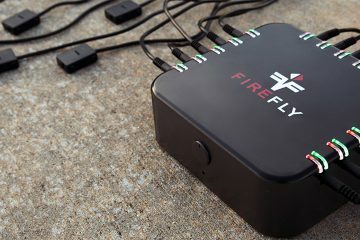 Wireless, battery-powered, approximately 15.5 x 17 cm, with 15 channels and 15 one to three meter long ignition cables and the latest Bluetooth technology - this is the App and cloud-based FireFly wireless ignition system, our latest product. It is now available for pre-order in the online shop. Delivery is expected from approx. October 2018. The free FireFly App is available in the AppStore and Google Play Store. On the 11th of August, the day had finally arrived. 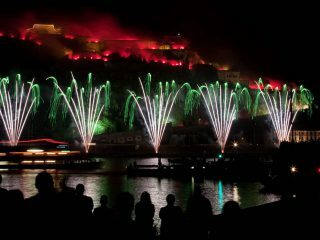 The Rhine bloomed through our pyrotechnical installation. With 8 firework shows and a grand firework finale at the Ehrenbreitstein Fortress, we let the Rhine shine between Spay and Koblenz. 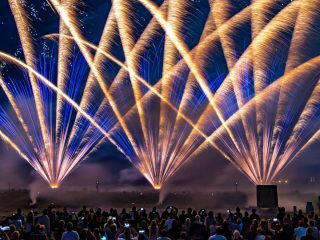 On August 11, NICO Europe's pyrotechnician will be competing against three other international teams for the coveted Zeus Award at Casino du Lac Leamy Sound of Light, one of Canada's largest fireworks events and one of the world's top firework competitions. The bronze and steel Zeus trophy symbolizes the winning team of the competition symbolically the Lord of the sky, the lightning and the thunder. With about 600 cakes and single shots as well as 1,800 bombs with a height of rise of up to 250 meters, we will present the spectators a breathtaking show that will certainly set us apart from the others. 31-07-2018 | The new Confetti Shooters have arrived! We have been looking forward to it for a long time and now they are finally here! 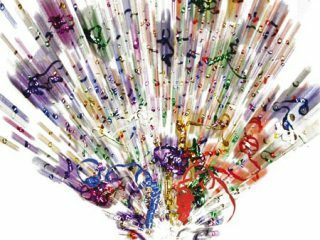 From now on our new confetti shooters with new fillings are available in stock. Whether unicorn, butterfly or hearts, there is always something to celebrate and with these shooters you have the party hit in your hands. Shoot and have fun! 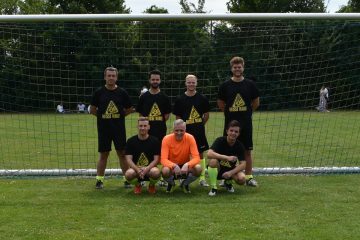 On June 29, the Berlin-Brandenburg Business Cup took place, a football tournament with 30 teams from various Berlin and Brandenburg companies. We proudly present you our soccer team "The Nicos". They have gone full steam ahead and represented us honorably at the tournament. An excellent 9th place is impressive, isn't it? On the 26th of May, our pyrotechnicians in cooperation with the Japanese colleagues of the company Hokuriku Kako showed at the Japan Day what they are able to conjure to the sky under the motto "Japanese Tradition - Art & Culture". The special effects, which were made especially for this event in Japan and brought to Dusseldorf, are unique - handmade specialties with calibres up to 175 mm (rise height up to 220 meters). They are something very special and unique in Europe in this form. 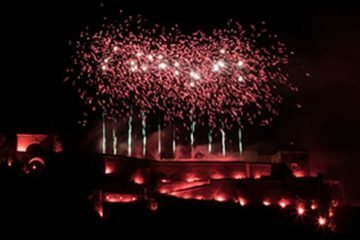 With over 1,500 bombs and seven launching positions over 100 meters along the Rhine, this is a spectacle with more than a ton of fireworks effects. 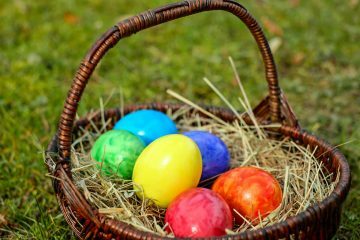 The NICO Europe Team wishes Happy Easter, a busy Easter Bunny, relaxing holidays, and lots of fun searching Easter Eggs to everyone. The new party catalogue for 2018 is here and is already available in the catalogue area. On 32 pages we have compiled our new party items for every occasion, every age group and every taste, which transform your celebrations into an absolute highlight. We hope you enjoy flipping through. The new main catalogue for 2018 is here! It was released most recently and is ready to view in the catalogue area. It was already distributed at the Nuremberg Toy Fair. As soon as all sales documents are complete, we will start the mail order business. 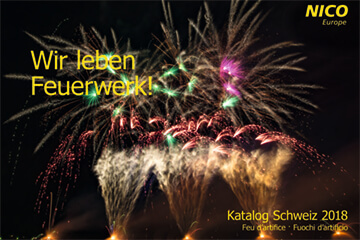 The catalogues for party items and professional fireworks are already in production. Of course we will inform you about the release as usual. 07-02-2018 | And the winner is.... Flash Bang! 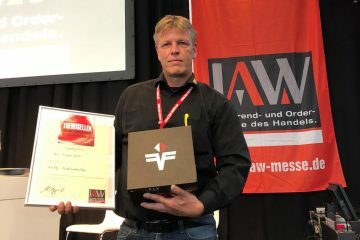 As every year at the International Toy Fair 2018, the winners of the Feuerwerkshop Award were honored and the trophy and certificate were presented. The winners were chosen by public votes over Feuerwerkshop.berlin. We are very happy that our Flash Bang was voted favorite of 2017 and we say thank you! 16-01-2018 | Nuremberg Toy Fair, we are coming! 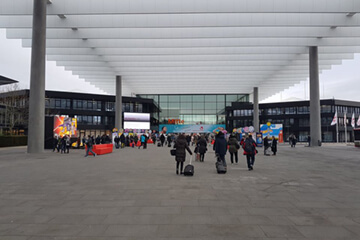 At the international toy markets in Nuremberg everyone comes together: Well-known brands, toy novelties, trendy start-ups, buyers of large trading houses, independent retailers and many media representatives make the Spielwarenmesse® the most important event in the toy industry. in Hall 9 at booth A-51! 31-12-2017 | NICO wishes a Happy New Year to everyone! Tonight we start the New Year with the best of intentions and look forward to making the sky brighter and more colourful in 2018! 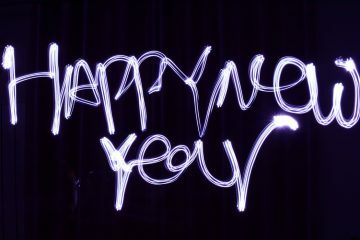 The entire NICO team wishes you a happy new year! The Swiss catalog for 2018 is here! It has been released most recently and is ready to view in the catalogue section. On a total of 72 pages he presents novelties and well-tried classics of our Swiss product range. 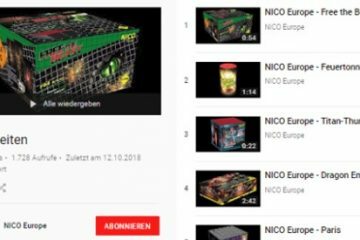 For the main and novelty catalog 2018 for Germany and Austria we will need to have a little bit more patience. Of course we inform you about the release as soon as possible. 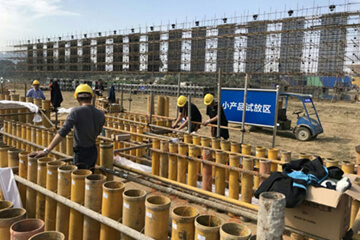 Every year, four successful international fireworks companies lock horns in Liuyang andmeasure their skills, creativity and product innovations. We too are one of these four teams. Our competitors come from Russia, the USA and Taiwan. On the 4th of November we will enchant the Chinese audience with a unique and technically special 12-minute show in a stadium located directly on the river. Of course, we provide you with timely information and pictures. The Silkeborg Fireworks Regatta takes place around the harbor in Silkeborg, Denmark, from 15th to the 19th of August. Four international teams take part in the European Championship for Fireworks and we are allowed to be there for the first time. We keep our fingers crossed for our colleagues against France, Spain and Sweden. Shooting is, similar to Manila, from a 400m² pontoon on the water. Pictures and video about the show in Denmark can be found here. Today BAM held a press conference to provide information about the safe handling of New Year's Eve fireworks. 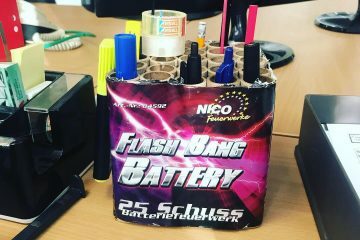 Rockets, Bangers, or battery fireworks have to be checked for safety before being marketed in Europe - and therefore also in Germany. 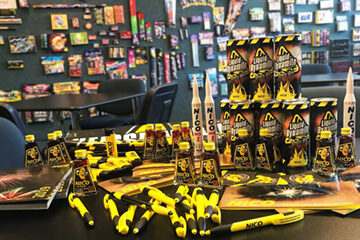 Certified fireworks are labelled with a registration number and the CE sign in conjunction with the identification number of the inspection body monitoring the manufacturer's quality assurance. 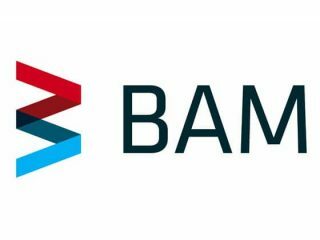 The Europe-wide valid identification number of BAM is 0589. NICO meets Liuyang Dingten Fireworks! 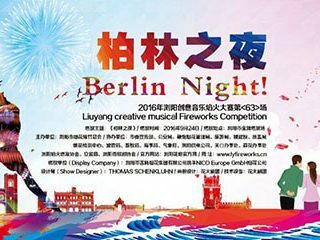 On the occasion of the Liuyang creative musical Fireworks Competition, our pyrotechnicians teamed up with our manufacturer Liuyang Dingten Fireworks' pyrotechnicians and created a breathtaking 15 minute Western styled show. For both sides it was the first cooperation of this kind and something very special as european teams are rare occurences at this regional competition in China. Photos of the show and further information can be found here. Dear partners and friends, the countdown has started. 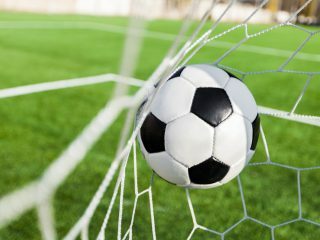 On 26 August, the new German professional soccer league starts - and so does our Kicktipp season 2016/2017. Current pairings and scores can be found here. For those who wish to join in newly: please register here. The video reporting of the SWR media library (finale starting at 1h10min): SWR media library. 29-07-2016 | Guess who's back! THEY'RE BACK! As of now, our Confetti-Shooters are available again in the sizes 30, 60, and 80 centimentres, with flying hearts filling, of course with hardly flammable, waterproof foil and a range of up to 10 metres depending on the size of the item. All the rage on every party! 23-07-2016 | Potsdamer Feuerwerkersinfonie - And the day's winner is NICO! 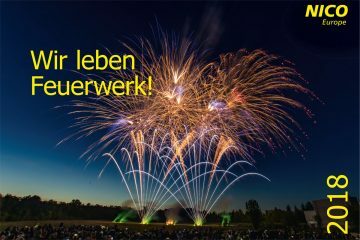 At the 15th Potsdamer Feuerwerkersinfonie - championship of the pyrotechnicians - in Potsdam on Saturday, our pyrotechnicians became winner of the day with their show "Love, Peace & Unity". 04-06-2016 | 18. Courtyard party: We celebrate NICO Europe! 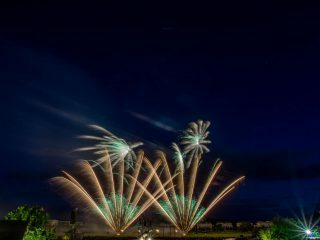 On 4 June, 2016, we hosted our popular courtyard party with a demonstration of our product innovations and the final display fireworks in combination with a laser show. Imagine a party without streamers, garlands, confetti, glow sticks, hats, christmas crackers, party horns, and table fireworks.... You find that boring? So we do! In our new catalogue, we compiled party items for every occasion, every age group and after everyone's fancy for you to assure you will not need to imagine parties without appropriate items turning your party into an absolute highlight. Of course you can also view the party catalogue as a flip catalogue in the catalogue section. Happy browsing and discovering! There it is, the new main catalogue! Newly arrived, we have also made the good piece available as a flip catalogue. You can find it in our catalogue section. Enjoy your thoroughly studying! 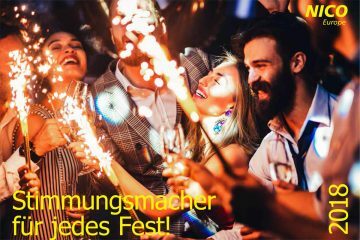 The catalogues for party items, stage-, indoor and professional fireworks will follow soon . 01-11-2015 | Just call us NICO Europe! 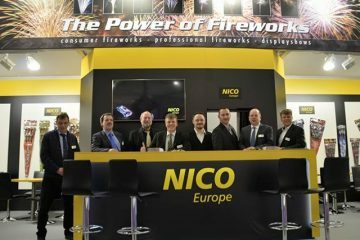 With effect to 1st November 2015 we merged the sister companies Pyro-Partner from Berlin and NICO-Lünig Event from Remscheid and will from now on be there for you as NICO Europe GmbH. Together with the colleagues from Remscheid, our team has grown up to 50 members. Benefit from our new corporate structure through more efficient processes, optimized customer service, as well as a uniform and more attractive product and service range. Your previous contacts will furthermore be available for you under the last known phone numbers.